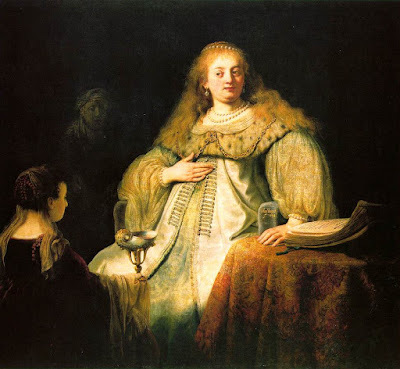 When so many blogs – Jacquiwine’s Journal, 1streading’s Blog, Pechorin’s Journal, The Mookse and the Gripes - opined favorably on Adolfo Bioy Casares and Silvina Ocampo’s 1946 novel, Where There’s Love, There’s Hate (Los Que Aman, Odian), I felt obliged to investigate the work myself. Several elements aroused my interest: a tragedy set atmospherically in an isolated hotel on Argentina’s coast; a series of untoward events leading to a corpse; a search for the killer, who might be anyone; a cascade of literary references that implied more promising fare than the mysteries one spurns in airport boutiques; and a most extraordinary narrator. Plus, as the authors hailed from within a Buenos Aires circle of glitterati whose ringleader was one Jorge Luis Borges, it’s likely they had more going on upstairs than those Grishams, Pattersons, and Scottolines whose flashy covers litter bookshop windows and fill the idle hands and fatuous minds of readers on public transport, broadcasting the decadence of our time. I had better things to do. I’d been profoundly immersed in the Italian masters: Dante, Petrarch, Ariosto in all his solemn chivalry. The great Tasso, as yet unread, stared accusatorily from the nightstand. Taking but an hour to read an 125-page Agatha Christie-style pot-boiler would wrench me away from such important work. But from time to time the mind needs repose from its strenuous efforts, and, I reasoned, an indulgence in light-hearted fare could reinvigorate my capacities for serious study. I brewed a pot of black coffee from the Ethiopian highlands, set a few Walkers ginger-stem biscuits on a plate of Deruta porcelain passed down through family generations, and, after dabbing a few drops of tea tree oil on my temples to stimulate my mental faculties, settled into the divan. Wrapping about me the shawl knitted by dear Aunt Louisa, I adjusted the lamp ever just so, such that its light would fall squarely on the reading matter at hand. No matter how slight a work might turn out to be, I will not leave myself vulnerable to critics suggesting that any lack of enthusiasm on my part might be ascribed to poor lighting. Opening the book with the gentle reverence I extend to great volumes, I immediately saw that my ornately-carved ivory blade would be unnecessary. Yet another flimsy modern paperback with pre-cut pages. Heaving a sigh for civilization and adjusting my lorgnette, I thought of my literary endeavours, murmured “Farewell, Tasso!” and plunged into the realms of tawdry mystery. But right away, a literary reference - to Petronius! Most propitious. The narrator, a doctor named Hubert Humbert or some such thing (probably a premonition of that salacious book by Nabokov) seemed, like myself, to be of a literary cast. He had come to the hotel on the sands – “a literati’s paradise,” as he calls it - on holiday in order to engage in translating the Satyricon. I have seen that movie, a typical modern abomination, though in frankness I cannot yet boast of having read the book. Still, though I maintained a vigilant and healthy skepticism regarding this Huberer’s literary bona fides, I prided myself on “getting” his references, both of them. Knowing that I was in for a mystery (thoughtless, those bloggers, to spoil that for me), I impatiently skimmed the pages, awaiting the critical “whodunit” part worth reading. This consumed no small amount of time and required a second cup of coffee, though again I patted myself on the back for recognizing references that accrued with each passing page - Oblomov! L’Atlantide! - even if looking them up would have required an effort incommodious to the ideal reading environment I’d worked to create. I admired too the novel’s exceptional setting: the hotel’s ground floor already invaded by sand; the windows closed upon the wind-whipped grains, resulting in a plethora of flies; a great storm keeping everyone inside like in Jamaica Inn (the movie, not the novel, which I have not read). “We are being buried in sand here. Anywhere you turn, there is sand; it’s infinite,” complains Humert, as I would have myself in his gumshoes. 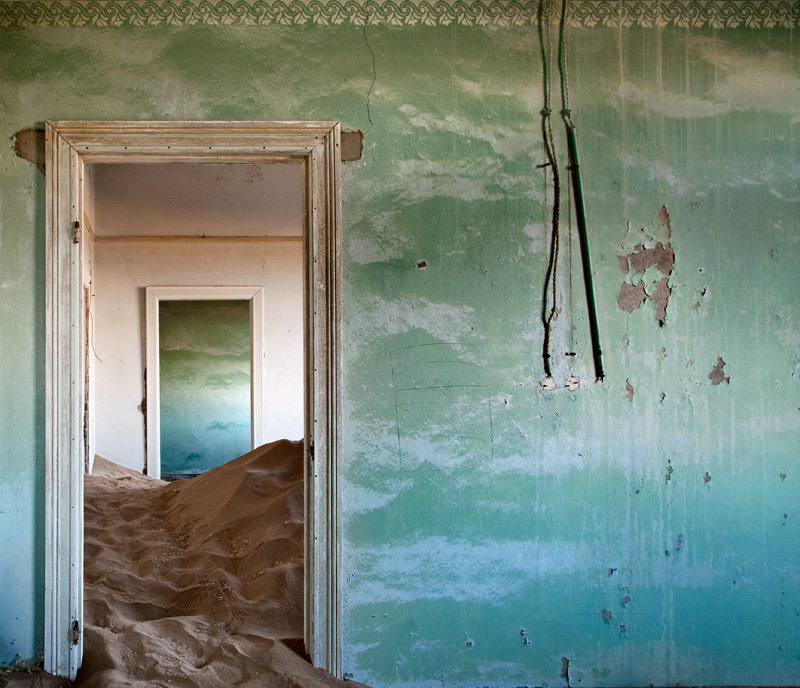 Sand everywhere, a veritable book of sand. Finally, though: habeas corpus! The authors produced the body. It belonged to Mary, with her sister Emelia a guest of the hotel, both girls apparently involved romantically with Emelia’s fiancé, a Mr. Atuel or Atwell (the spelling obviously one of those maddeningly impenetrable South American peculiarities such as whether to call - to pick one of these gaucho names at random - Mr. Gabriel García Márquez “García Márquez,” or “Márquez,” or “Señor”). Mary had killed herself or been poisoned. Instantaneously I deduced, from reviews identifying this as a murder mystery, that this was murder. The rather disagreeable Hulert Hulot, inserting himself into every scene, claimed strychnine poisoning. I questioned his judgment, as I would that of anyone who practices a specialty while simultaneously attempting to translate the classics, a division of mental aptitudes that could only diminish one’s credibility in both domains. But as the investigation increasingly captured my interest, so too did the doctor’s finer attributes. He adamantly assures the reader – almost as though he were speaking of my own virtues - of his generous ability to register “with equanimity” his defeats and his victories, culminating in an irrefutably bold declaration: “May nobody call me an unreliable narrator.” My doubts evaporated. I now recognized that all along Huberman (That is the name! I have written it down) had been the first to offer reasoned hypotheses about the crime. If these proved largely incorrect or baffling to the less perspicacious, that could hardly be blamed on a man of such solid literary discernment. One need only look at the other doctors in the hotel, one a physician in name only and the other a louche dipsomaniac, to see my point. Further, none of the other personages appeared to have the slightest ability to understand literature, the police commissioner notwithstanding in his expressing admiration for a no doubt frivolous Victor Hugo book about a man who laughs (I know neither the movie nor the book, but it strains credulity to imagine that either could be good). When this Atuel/Atwell and a Mr. Manning spend a night reading every book in Mary’s library in order to find clues – she was, after all, a translator of detective novels – they demonstrate a narrowness of purpose that a true lover of literature could not abide. What, I wonder, did they retain of those volumes? Could they even distinguish between Michael Innes and Eden Phillpotts, or between Phillpotts and Harrington Hext? Any uncultured savage can “read” a book if it’s but a matter of searching for a particular passage. One little sprite of a character I did very much like, the hotel owners’ son Miguel, whose fondness for animals I myself share. In one scene, a bloody albatross appears in the dead woman’s room. I shuddered with horror at the waste of such a magnificent bird and shed a tear for the ancient mariner’s ancient regret, but breathed with relief when I saw later that Miguel had stuffed the great fowl in order to display it as any hunter worth his salt would do. This was followed by a momentary resurgence of distaste, like mounting acid reflux (the third cup of coffee, perhaps), for mon semblable littéraire, mon frère Huberman, who, when, following the dictates of his deductive powers, ripped apart the chest of the glorious oiseau empaillé assured that Mary’s jewels, missing since the night of her murder, had been sewn inside. They had not been. A pity, but nothing a skilled taxidermist could not fix. Why had I, having adopted as a fundamental rule of conduct never to expose myself to danger, never having signed any protest against any government, having favored the appearance of order over order itself, if in order to impose it violence would be required, having allowed people to step all over my ideals, in order not to defend them; why had I, having aspired only to be a private citizen and, in the lap of luxury of my private life, find the “hidden path” and refuge against dangers both external and within, why had I - I again exclaimed - involved myself in this preposterous story and followed Atwell’s senseless orders? To bribe fate, I swore that if I got back alive to the hotel I would benefit from the lesson and never again allow vanity, sycophancy or pride to induce me to act without premeditation. Why indeed! I might have said the same thing about embarking on this slight work, so beyond the limits of refined taste. But the exercise soon reached its terminus. I finished the tiny book and chuckled mightily in case anyone might be watching. That such a thing could have been written by people whose lives suggested they knew something of literature… Perhaps I had missed something. Perhaps this bit of fluff disguised a clever roman à clef concerning the authors’ circle in Buenos Aires; is it not too much to suppose that even this Borges himself is represented? My bet is on Miguel, the little scamp, enjoying his capricious escapades and his little boat, the Joseph K (a perplexing name for a watercraft). If only the authors had provided more clues such that one might, with minimal effort, match the characters to the persons they were intended to represent. Perhaps too if they had aimed high and omitted this nonsense about a murder so that decent people, like myself and Huberman, could go about our business undisturbed. I can only echo the great man’s vain cry: “When will we at last renounce the detective novel, the fantasy novel and the entire prolific, varied and ambitious literary genre that is fed by unreality?” Imagine, I wondered while following a seventh cup of coffee with a heavy dose of bicarbonate of soda. The authors might have written literature. I inhaled Where There’s Love, There’s Hate for Spanish Literature Month, kindly hosted by Richard of Caravana de Recuerdos and Stu of Winstonsdad’s Blog. Please have a look at reviews by: Jacqui, Max, Grant, Trevor. 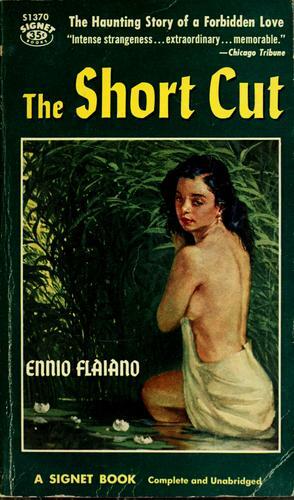 Of the many surprises that Italian literature has offered during my explorations, Ennio Flaiano’s The Short Cut (Tempo di uccidere, 1947) is among the most unexpected, addressing an unusual area of Italian experience: Mussolini's military incursion into Abyssinia in 1935-36. Winner of the inaugural Strega Prize, Italy’s highest literary award, The Short Cut stands out not only as an accomplished mid-20th century Italian novel, but also as one of the finest novels about imperialism I’ve read from any country. The operation was very simple; first she had to slip on a tunic and then wrap herself in a wide cotton toga. She still dressed like Roman ladies who had reached here or the borders of the Sudan, following the lion hunters and the proconsuls. “A pity,” I said, “to live in such different ages.” She perhaps knew all the secrets which I had rejected without even examining them, like a paltry legacy, in order to content myself with boring trite truths. I looked for knowledge in books and she had it in her eyes, which looked at me from 2,000 years ago like the light of certain stars which take that time to be picked out by us. It was this thought, I think, that made me stay. And then I could not distrust an image. Lost, exhausted, in pain and aware of the powerlessness of the native population before the “signori” who’ve invaded their land, he forces himself on the girl in a drawn out scene in which he validates his actions by what he interprets as the girl’s own desire. The two remain together until a few nights later, shooting at a wild animal, the lieutenant finds that a shot has ricocheted and wounded the girl. To ease her suffering as well as to escape culpability - in essence burning a village in order to save it - he kills her and hides the body. It may seem that I’ve already given away most of the plot, but all of the above occurs in the first chapter. Flaiano’s interest lies in the lieutenant’s Raskolnikov-like rationalizations in the wake of his crime. Since this is a novel of imperial exploits, the lieutenant’s struggle also involves his ability – or inability – to comprehend the people whose land he occupies. A dance ensues between himself, his fellow Italians, and the native population, including an elderly man and young boy connected to the woman the lieutenant has killed. As he becomes increasing paranoid and more inclined to further his escape through additional crimes, the novel becomes a nearly picaresque set of adventures of a man lost within his reverberating thoughts, attempting to make his way back to Italy and to a wife rapidly becoming little more than a picture in a frame. Flaiano enhances the lieutenant’s moral miasma by leaving him suspended in time (his watch breaks), in place (his perambulations go in circles), and even in language, his connection with others underscored by the few words he and the natives can share and by the letters from his wife that gradually lose their legibility from being carried through the harsh African landscape. Here…there was the advantage of feeling oneself in virgin country – an idea which does have a certain fascination for men who in their own country have to use the tram four times a day. Here you are a man, you find out what it means to be a man, an heir of the dinosaur’s conqueror. You think, you move, you kill, you eat the animal you surprised alive an hour before, you make a brief gesture and you are obeyed. You pass by unarmed, and nature itself fears you. Everything is clear and you have no spectator other than yourself. Your vanity emerges flattered. The Zouaves…had come on horseback to do this quick job; they were passing that way and it didn’t take long to burn two or three straw huts. And on the other hand the Zouaves remembered what the Asaris had done in Libya, they too paid by the same master, because this is one of the elementary secrets of a good imperial policy. I had stooped to this woman more in error, I felt, than sin. She did not give to existence the value I gave it; for her everything would have come down to obeying me, always, without asking anything. Something more than a tree and something less than a woman. But these were foolish fantasies which I hazarded to pass the time; other hands were stretched out to me from the radiant distance, other smiles invited me to return; and I would be wise to forget that night. Through the lieutenant - hardly the worst of the Italian characters in the novel - the entire enterprise of Italy’s empire-building ambitions in East Africa is laid bare as sham, as a callous and doomed attempt to impose an uncomprehending system on a people the Italians can’t and won’t understand, even when the attempt rebounds in deadly ways. Like the lieutenant’s failed effort to find an expedient return to civilization, his interactions with natives, marked by fractured communications at the edge of language, serve to increase distance rather than shorten it. 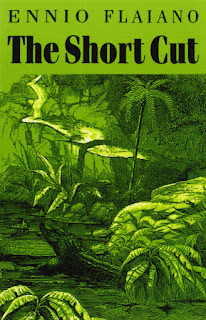 I found the The Short Cut to be a superb novel, reminiscent of the best of Graham Greene and, in its thriller-like portrayal of a man on the run, of Geoffrey Household’s Rogue Male. Had it been the only thing Flaiano wrote, it would have assured his fame. But Ennio Flaiano’s reputation has already been guaranteed. Though his name may not be immediately familiar, one surely knows the titles of the films he wrote for directors such as Roberto Rossellini, Michelangelo Antonioni and especially Federico Fellini: Rome: Open City, La Notte, I Vitteloni, La Strada, Juliet of the Spirits, Nights of Cabiria, La Dolce Vita, and 8 & ½, among others. That Flaiano’s only novel is such an impressive work hardly comes as a surprise.